Francis Patrick Moran (1830-1911) is installed as Archbishop of Sydney. The foundation stone for St Patrick’s Seminary is laid. Archbishop Moran is apppointed Cardinal.Work commences on the Archbishop’s Residence early in 1885. The Archbishop’s Official Residence at Manly is completed. 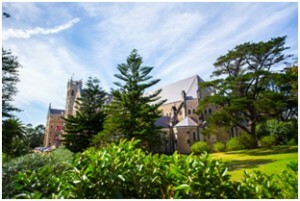 St Patrick’s Seminary College opens in Manly and initially is intended to provide priests not only for Australia but for all British colonies. The Seminary is the initiative of Cardinal Moran and he contributes a library of several hundred books, a collection of medieval manuscripts, as well as items for a museum (known today as the Veech Library residing at the Catholic Institute of Sydney in Strathfield). Construction of the Cardinal Freeman Pastoral Centre begins. Cardinal Moran dies and is succeeded by Archbishop Michael Kelly. The Archdiocese has 189 churches, eight hospitals and three seminaries. Of Sydney’s 175,000 Catholics, more than 25,000 children are enrolled at Archdiocesan schools. 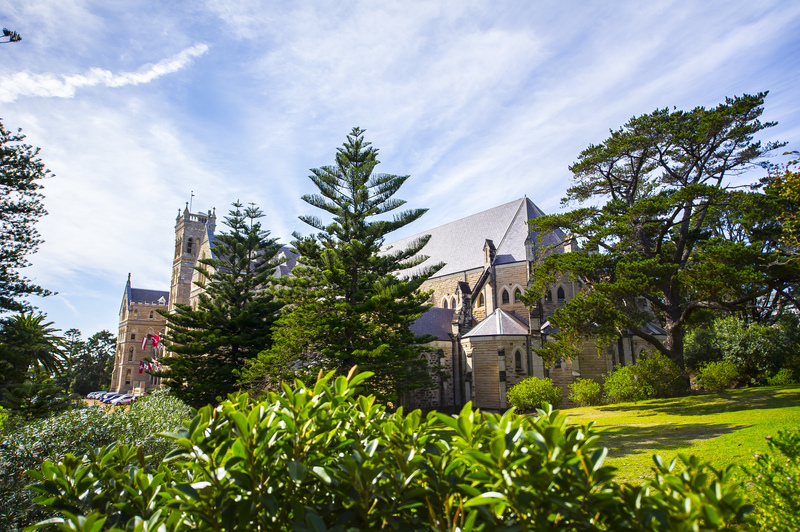 St Patrick’s College Seminary at Manly celebrates its Silver Jubilee. An Act of Parliament permits the subdivision of 21 acres of land above Shelly Beach and Fairy Bower to help meet the upkeep cost of the college. Sisters of Our Lady Help of Christians move to St Patrick’s Estate. Archbishop Michael Kelly dies. Archbishop Norman Thomas Gilroy becomes Archbishop of Sydney. Between 1934 and 1936 significant construction takes place.On 8 April, 1934 the foundation stone of the Cerretti Memorial Chapel is laid and blessed and the Chapel is consecrated and officially opened in 1935.Construction of the Convent takes place.The large extension behind the eastern wing of the College is completed in 1935 and involves an additional two levels of student accommodation above an enlarged kitchen facility. Archbishop Gilroy is appointed Cardinal and becomes the first Australian-born member of the Sacred College. St Paul’s Catholic College, Manly (formerly known as Christian Brothers Regional High School, Manly) is established on St Patrick’s Estate on 8 August 1965, with further buildings added in the late 1970s. First Catholic lay people graduate in Theology from the College. Manly Council approves rezoning of four areas of the St Patrick’s Estate for residential development. A Public Notice states that most of the clerical training for the Archdiocese will move to Strathfield. The first Conservation Management Plan (CMP) for St Patrick’s Estate is endorsed by the Heritage Council of NSW. 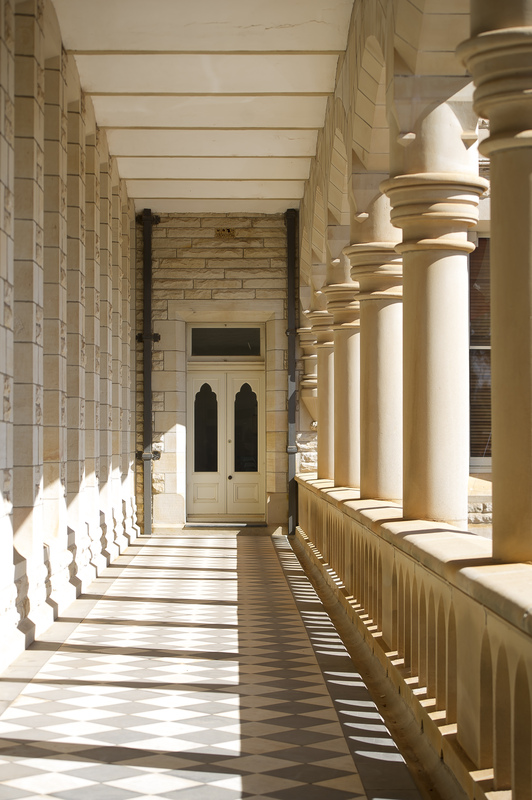 Completion of conservation works to Moran House, Kelly House and the Cardinal Freeman Pastoral Centre – the current location of the International College of Management, Sydney (ICMS). Completion of conservation works to Cardinal Cerretti Memorial Chapel. Construction of vegetative links across the Estate begins. Completion of construction of Bear Cottage and residential developments of College Green and College Court. The next CMP for St Patrick’s Estate is endorsed by the Heritage Council of NSW. Completion of conservation and adaptation works on St Theresa’s Convent for the ICMS. Completion of conservation and adaptation works on the Archbishop’s Residence for St Paul’s Catholic College.Demolition of Gilroy House and remediation of the site. Completion of construction of Cerretti Crescent. The Development Application is approved for the construction and installation of the Public Pathway, providing community and public access across the Estate. Stonework and slate restoration of Moran House commenced. Construction of the residential development at Spring Cove commences. Completion of the Montpelier Place residential development.